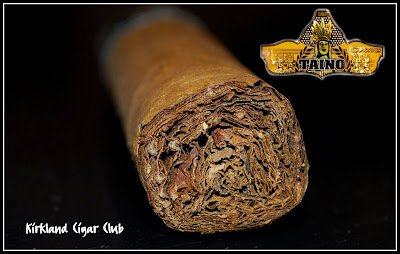 I recently got a box of the Tatuaje El Triunfadors about a week or two ago. I had to drive out to Snoqualmie to rescue the girlfriends car at her work on Friday and I swung into the casino after she got her car. I lit up one of the new cigars and man was it awesome. I bought these for a nice somewhat quick, yet still not too long of a smoke. It lasted about 35-45 minutes, I wasn't really keeping track of time. I almost wish I bought a bigger size so I could smoke even more of it. It was great all the way to the end. I'll have to smoke one without eating the trail mix they give you because the spiciness of the mix probably took away from the flavor from the cigar. But nonetheless it was still great. Nice medium smoke all the way through never getting really spicy, even to the end. 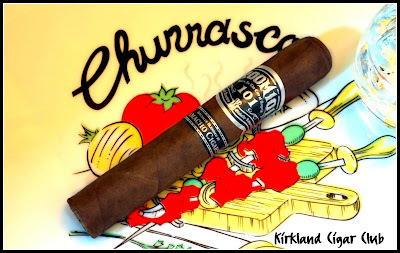 It seems like the Macanudos have been a hit or miss lately. Like that 1968 I had. I had a tight draw on it and the flavor wasn't anything special. I have another one in the humidor. Hopefully it loosens up some and isn't so tight next time. I do enjoy their Cafe or Gold Label sometimes. I would have them as my go to smoke, but I know there's better out there so I should still look around before I find something I will buy repeatedly. I can't remember the last time I saw it snow here before Thanksgiving? Maybe when I was a teenager? Only a couple inches on the Eastside this week, but boy it sure crippled the Puget Sound area for a few days. Jeez, I even took the bus to work one day! 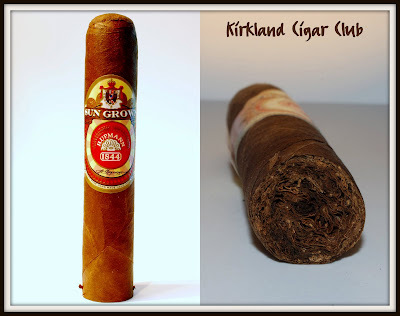 Before I forget, I wanted to tell you about a couple of pretty good cigars that I smoked over the weekend. The first one I picked up in Georgetown at Rain City Cigars, they were having a promotional event last week for Macanudo Cru Royale label, so I bought 2 and got one free. I'm a sucker for this stuff. Anyway, I smoked this one down at the Patch on Friday night. 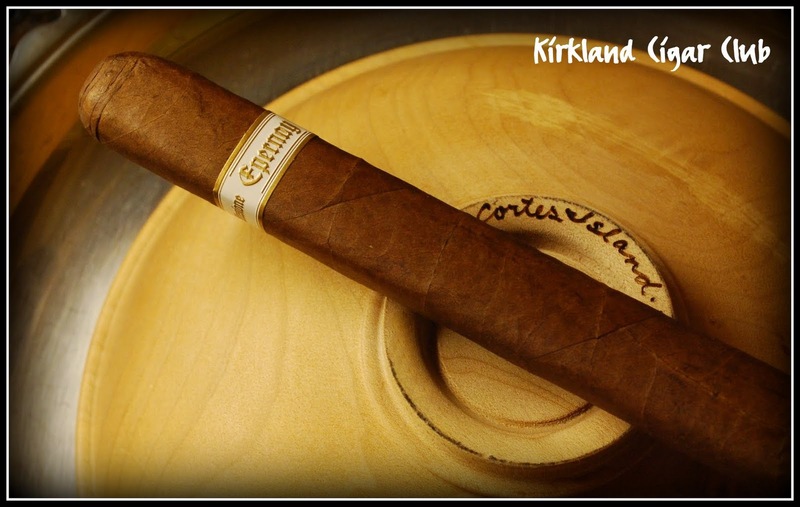 One cigar brand that I've been meaning to try for a long time now are Gurkha cigars. My son told me about a new wine and cigar shop that opened up in the Totem Lake area, I thought I'd check it out and that's where I found this Gurkha's. What the heck, I bought one. I think it cost me $12..50 or so. For me this cigar started out a little rough - draw wasn't all that great and it was a tad harsh, however, around the midway point the cigar opened up and the flavor really started to flow. 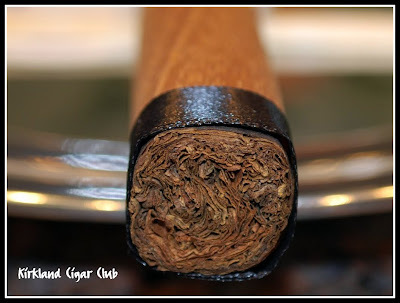 I smoked this right down to the nub - very nice finish. I seriously had a hard time putting it down. Would I buy one of these again? Not this particular blend, but I'd love to try one of the others. Technically I enjoyed it, I just didn't like the start. Anyway, I hope you have a GREAT Thanksgiving this year - lords knows I've got a lot to be thankful for! Up at the casino on Saturday night - too crappy to smoke outside in the rain in downtown Kirkland, plus I wanted to meet KCC's guest cigar reviewer - Señor Cristóbal, he told me that he'd be here..
After a little gambling, doubled my money I might add, we walked over to the Lit Lounge to have a cigar. The place was packed, standing room only. Turns out that the Paquiao vs. Margarito boxing match was about to start on the big screen TVs. We needed some cigars first. I walked into the big humidor and picked out an Ashton VSG off the top shelf for myself and found a Hemingway Short Story for my bride. The crew up at the Lit lounge are really good about making you feel at home - cutting and toasting your cigar is standard - very nice touch. Anyway, it was so busy that we had to stand in the corner up by the bar, which turned out to be a good spot, unobstructed view of the big screen, right next to the bar, and for some strange reason the smoke filtration system works exceptionally good in this corner - I could actually breath and my eyes weren't burning from the clouds of smoke in the room. I ordered a shot of Pyrat Pistol rum, one of my favorite drinks to have with a cigar, and my better-half ordered a Kahlua and coffee, which is delicious here - French press coffee, Kahlua, topped off with whip cream. She LOVES it! 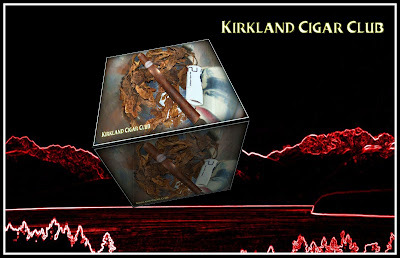 Excellent smoke it was though, just about perfect in every way - Churchill size, nice wrapper, rich color, perfect firmness, full flavored taste and just the right draw, my kind of smoke indeed. 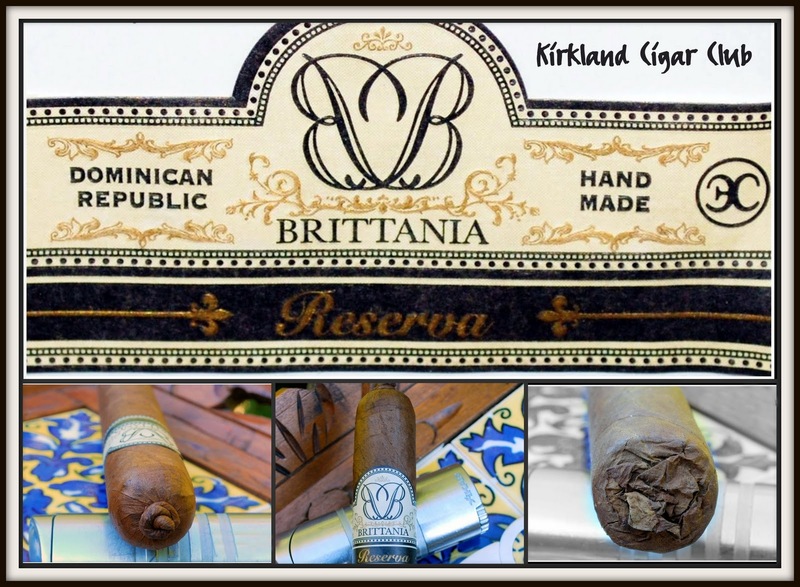 I actually thought I might be mistaken about how good this cigar was, so I asked my wifey-poo if I could have a puff off her cigar just to see if my taste buds weren't fooling me. I was right - her Hemingway Short Story tasted like crap compared to this rich and smooth hunk-of-love. 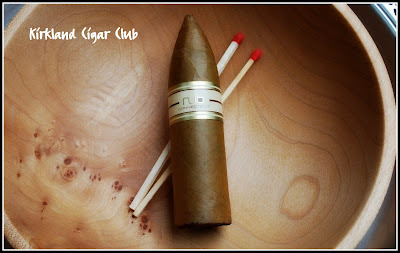 That's what I'd call it, not an ordinary cigar, but a "hunk-of-love". 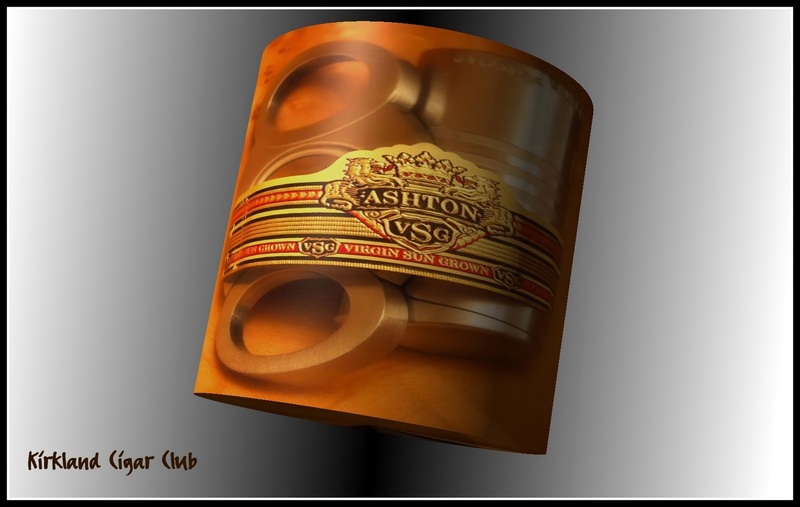 This VSG cigar has made it near the top of my "best cigars" list - I would definitely buy a box, my only issue is the price - very $$$. Anyway, I finally met up with Chris - super nice, young, good-looking, articulate, and he enjoys a fine cigar probably more than I do. I think he was on his third stick when I met up with him. I encouraged him to continue with his reviews, so hopefully you'll see his name on this page again soon. Right Chris? What a grand evening though - doubled my money at the slots, smoked a fantastic cigar, watched 12 rounds of probably the best boxing I've ever seen, but what made it even more grand was the camaraderie between all the cigar aficionados here - what a great bunch to watch the fights with! I know, I know, where's my post for this week? 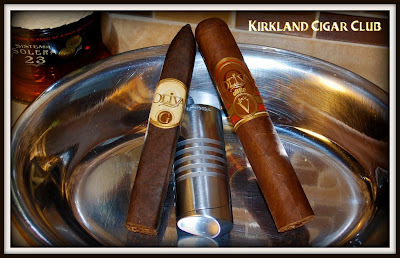 Well, I've been kind of lazy and I've only been smoking Oliva's, but that should change this weekend, I'm planning on picking up a few new sticks to review. 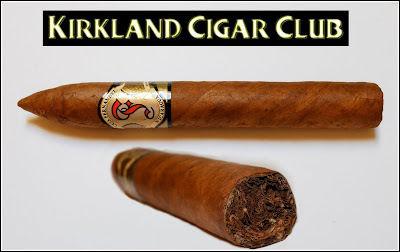 In the meantime, a friend of mind has inadvertently reviewed a couple of cigars and I thought his comments warranted posting on the Front Page. 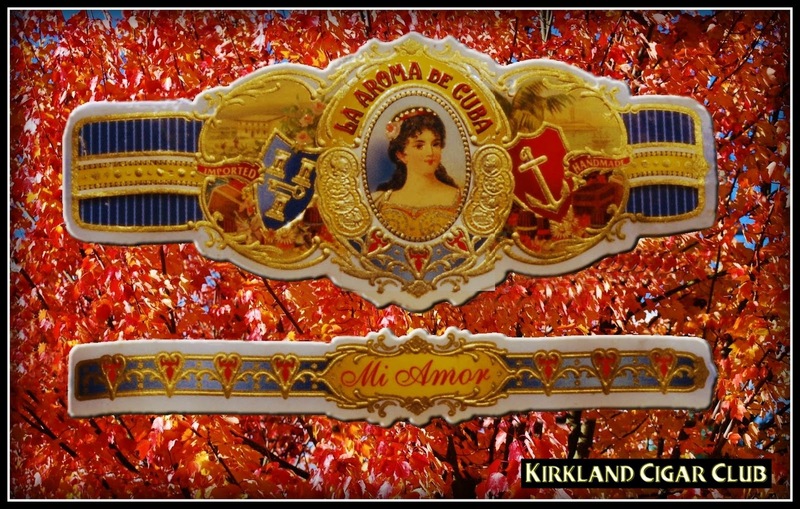 Last weekend I went to the Snoqualmie Casino and smoked a couple of cigars. 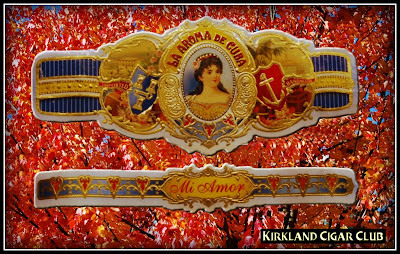 First one was the La Gloria Cubana with the 2 tone wrapper. I didn't like the first half of the cigar with the lighter wrapper, once it burned down to the other, it was a lot better smoke. Had a good draw, but I had to relight it a couple of times. The second one I had was the Macanudo Vintage 1968. It was another one of the free ones I got from the Smoke Easy. 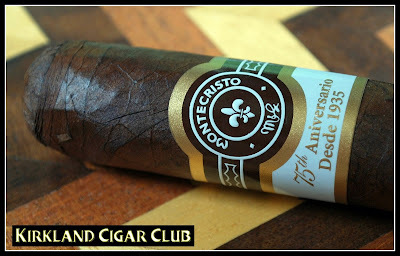 I like Macanudo but the draw on this was very tight. Had good flavor but the draw kind of ruined it. 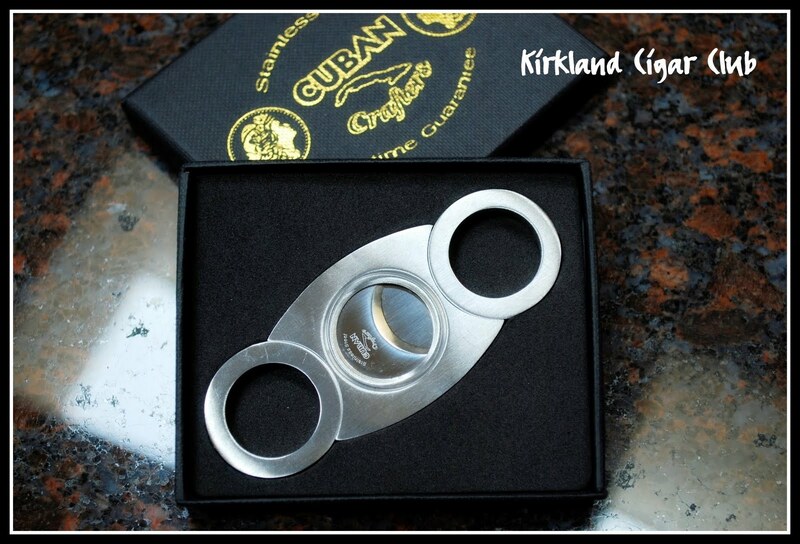 I have another one of these in my box that my dad gave me from his stash from the Smoke Easy. I was feeling it and seems like it'll be a tight smoke as well. I should find a way to loosen it up a bit. My brother was with me when we were there at the casino. 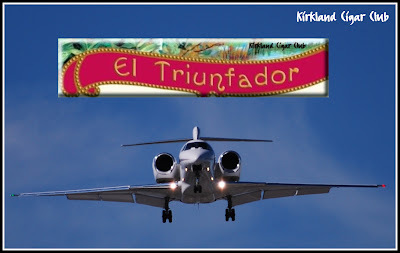 He got a El Triunfador from Tatuaje. I tried it, maybe took 3 puffs off it, and loved it. I ended up ordering a box from CI. So they should be here sometime next week. I was pretty surprised to see that both I-1100 and I -1105 were defeated. I think that it was bad timing for Costco to have their initiative on the ballot the same time as I-1105. Oh well, wait a couple of years and try again... Please! 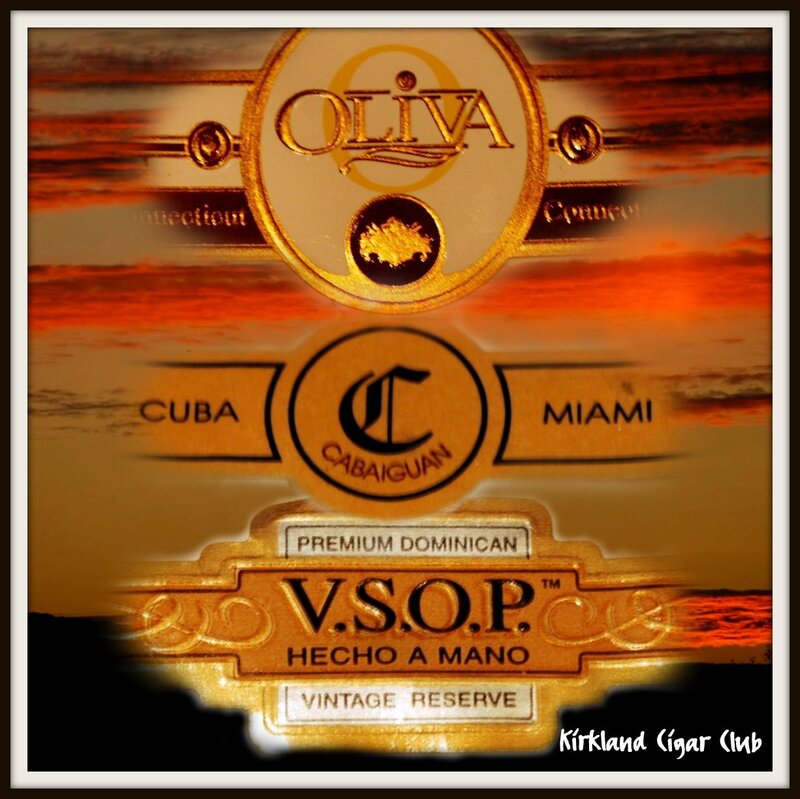 I ordered a box of Oliva Serie G cigars on Friday. Why? Well one, because my humidor was empty, and two, because these are my "go-to" cigars, the cigars that I can always count on, can smoke any time of day, I've got to have at least a dozen of these on hand at all times, plus they're a great cigar to give-out to people who have never tried a cigar before. Well, that's my opinion. Oh yeah, and I got an incredible deal on them! So let me tell you about a couple of cigars that I smoked on Friday night. 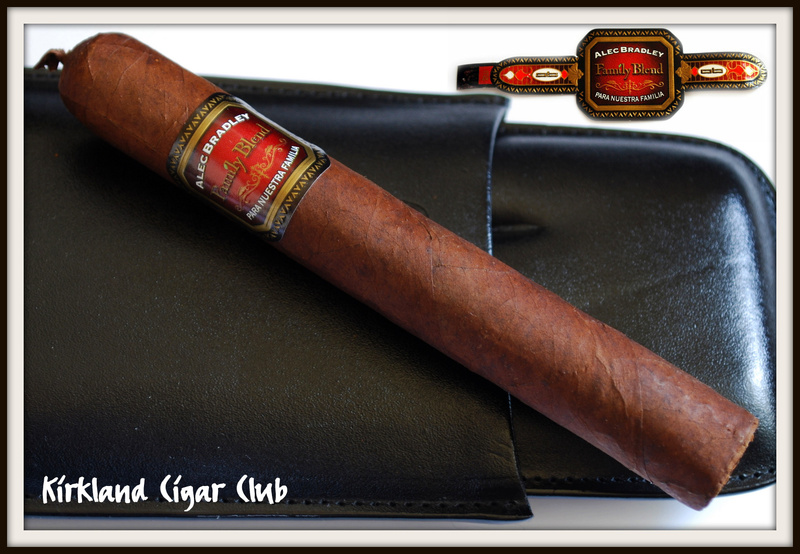 This is a great looking cigar - good size, rich color wrapper, perfectly shaped pyramid top. I've meant to try this for some time now, but I always seem to get distracted. Anyway, Friday night I gave it a try and found that I loved it! 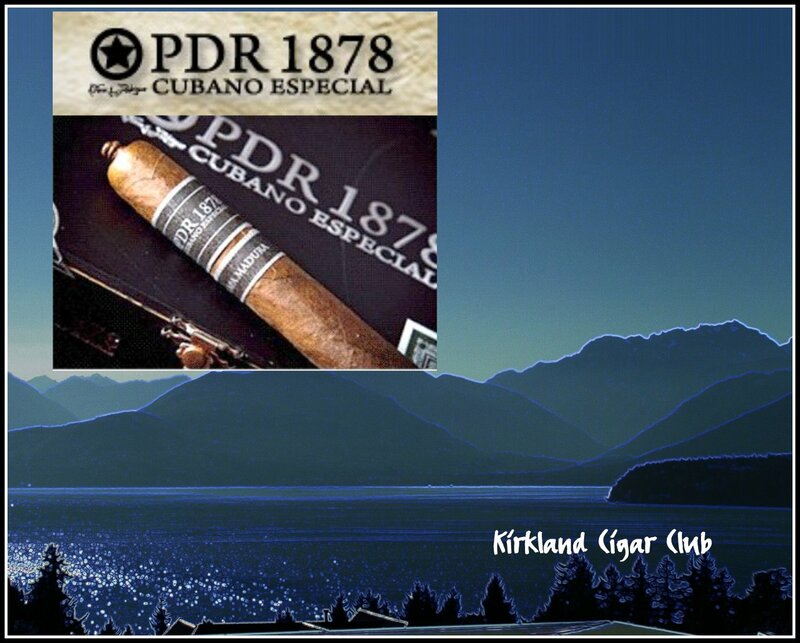 Great medium bodied smoke, delicious! My only complaint, and mind you this is a very, very small complaint, was that it didn't produce the amount of smoke that I like. The draw wasn't bad, it just wasn't a smoke-factory so to speak. 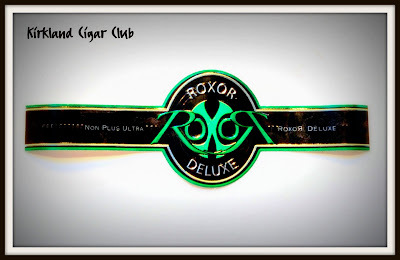 The label (Kryptonite green) may look a little kooky, but this was a surprisingly good cigar! A friend of mine gave it to me, so I'm not sure on the details, but it was Churchill size and a maduro wrapper. 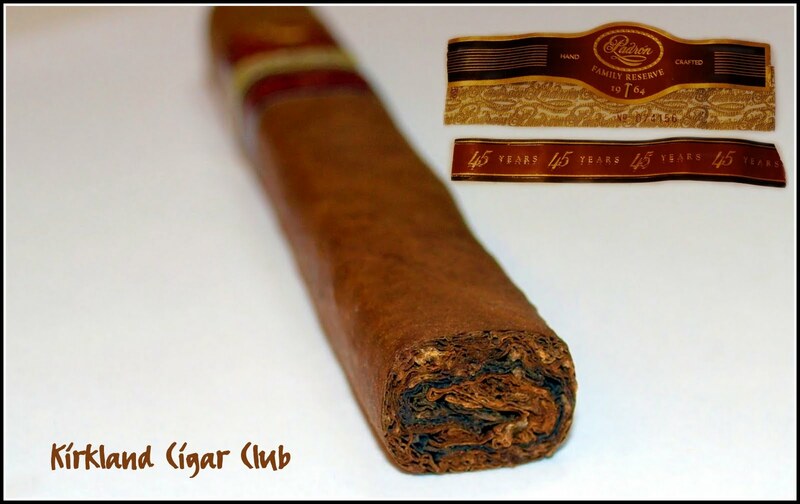 Good feel, maybe a little rugged, but definitely a BIG cigar with a large ring size. It had an excellent draw, nice flavor and lasted for frickin ever! After an hour and 10 minutes I had to put it out, but there was easily another 30-40 minutes left. 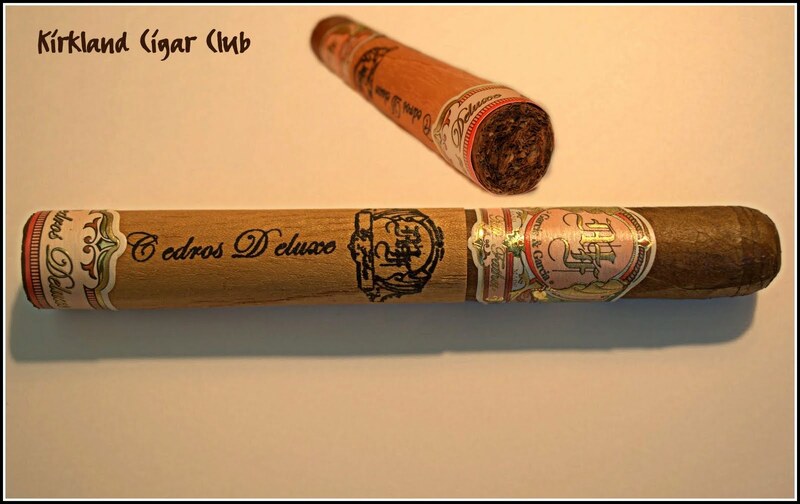 Anyway, it reminds me of the Da Vinci Leonardo cigars that I've smoked on many occasions, same characteristics.Yes, not a bad smoke indeed, and I just betcha that these are pretty reasonably priced? So Saturday night we went to the Buenos Aires Grill (Argentine Restaurant and Tango Bar) in Seattle. I knew it was going to be a good evening, I found street parking on 3rd Avenue. Lucky me! Parking in a parking lot in Seattle is a ripoff, and me being as cheap as I am generally try to find something on the street "IF" I have the time to look for one - If not, screw it, it's going in the lot. Anyway, this was one of the cooler restaurants that we've been to in a while - has the look and feel of a few places we've been to in Argentina and Uruguay. Kind of a 1920's look. Heck, it could be Paris if you didn't know any better. The food, especially the steaks, are outstanding, but what really put the restaurant over the top for us was the service. Our waitress was the best! She took care of us like we were her folks and she was trying to make a good impression. She succeeded! Everything was perfect. Now, while you're eating and listening to beautiful tango music, you are also entertained by a couple (dressed in white tux/white dress) dancing tango. They glide between the tables like they're floating on air - amazing to watch! If I didn't have two left feet, I'd love to learn how to dance it. Why are you laughing? I'm serious! OK on to the next one -Our friends from Oregon were passing through Seattle on Sunday and they wanted to get together for brunch with them at Lola's Restaurant, this is one of Tom Douglas's restaurants on 4th Avenue, just a couple blocks from the restaurant we were at the night before. Let me tell you that they have the BEST Eggs Benedict in town - no question about it. And the service was First Class all the way. Kind of nice when you have people from out of town checking out the Seattle scene and everything is perfect. This is my new favorite place for breakfast in town. My only complaint might be the price - it's pretty expensive! I really should be the spokesperson for the Oliva brand - for the price, in my opinion, this is the best cigar line on the market. Starting to cool down a bit now, but boy it's been pretty toasty for us Seattleites - temp in the 90's. I'm not complaining, I love the heat, in fact I'll take the heat over our typical 228 gray-sky days anytime. 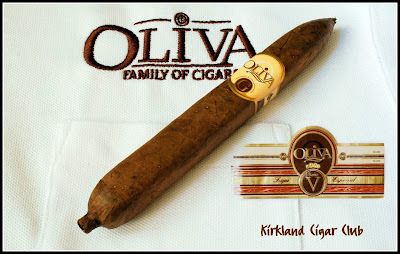 So as you may have guessed, I've been smoking nothing but Oliva's all weekend. Actually started smoking them on Thursday night - I usually don't smoke cigars Monday through Thursday, but this week was an exception. I can't remember the exact reason, but somehow we made it out on our back deck, I lit up the fireplace and we kicked back with a drink and a cigar. Nice, very nice evening. 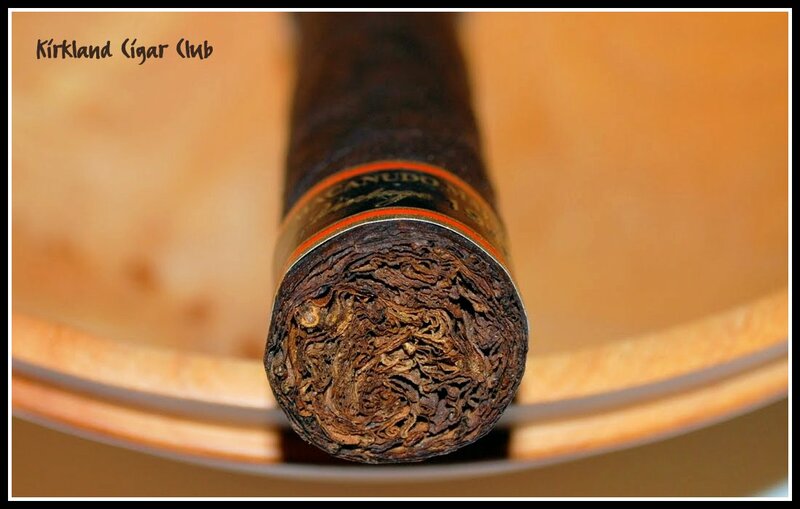 Friday and Saturday nights we ventured over to the Tobacco Patch - perfect weather, good size group and lots of cigars. Talked to the owners of the Patch about the IPCPR in New Orleans. Sounds like they really enjoyed it, even though it's basically work for them. 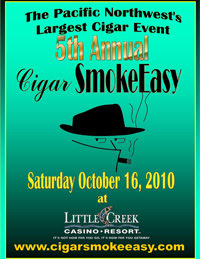 I'm looking forward to going to the Speak Easy this year in October - should be a blast! Anyway, on Sunday night after a big dinner at the house, we took the kids (now grown adults) up to the Snoqualmie Casino for a little gambling. I'm not much of a gambler, but my son is one of the luckiest suckers I know - he wins all the time! He won $120 in just a few minutes at the Black Jack table while we were there. Me, I even look at the table and somehow I lose money! So after I had lost my prescribed limit of dinero, we wandered over to the Lit Lounge. Sunday night is good time to visit the casino, not too busy, unless there's a concert, which of course there was. I don't think I've ever seen people park their cars up on the main road before - that's how busy it was. Luckily for me the Valet parking was still available. I don't mess with parking up there - just leave it with the Valet - no worries. The Blue Angels were in town for Seafair last week. I saw them flying around on Wednesday and Thursday, but missed the shows over the weekend. I heard them buzzin around though, but I was too busy to look up. Unbelievable the noise they make when they kick on their afterburners! Holy Crap! Anyone go to the races this year? I know it rained on Saturday, but Sunday wasn't all that bad, was it? OK, so a friend of mine gave me this cigar a few weeks ago and I thought I'd smoke it on Sunday night. My lovely wife and I had gone to a big party earlier in the day down in Tacoma. Jeez, there was enough food there for 200 people, and believe me it was everything that you try to avoid eating because you know it'll either kill you or go straight to your waistline. Yes, I ate everything I possibly could and I'm still alive, so I guess I'll have to work it off this week. I've never heard of Taino Classics and if I were to judge the cigar by its label or by the appearance of its wrapper, I'd say that they were relatively inexpensive smokes. This particular cigar had a big vein running down the backside of it. Yikes! Anyway, after I lit it up and smoked it for a while, I came to the conclusion that it wasn't bad, but it's not something that I would buy, or smoke again. 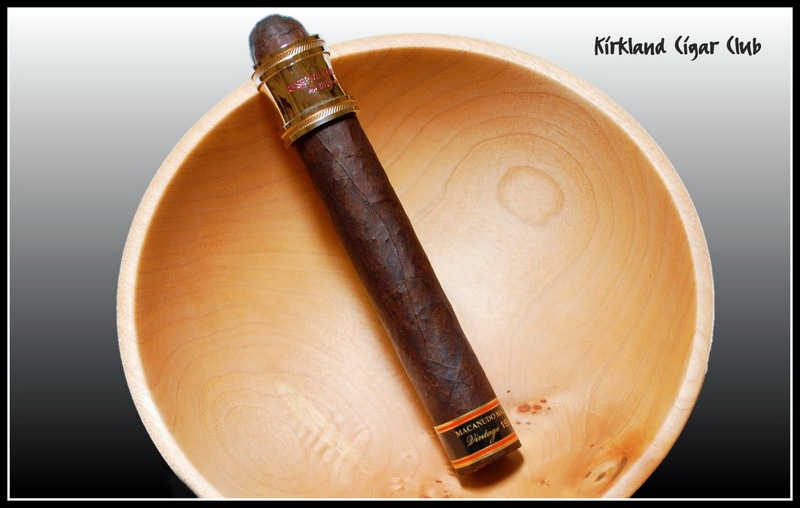 It's a mild, lackluster cigar that lacks in just about all departments, except perhaps the price. 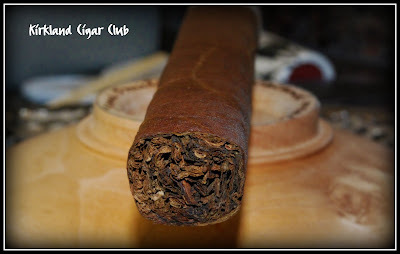 Anyway, it's kind of an interesting looking cigar, it's only about 4 inches long and it has a massive ring size. Once you cut its Torpedo top, you're down to a little more than 3 inches of smokable cigar. I think that's probably the main reason I haven't bought one yet. 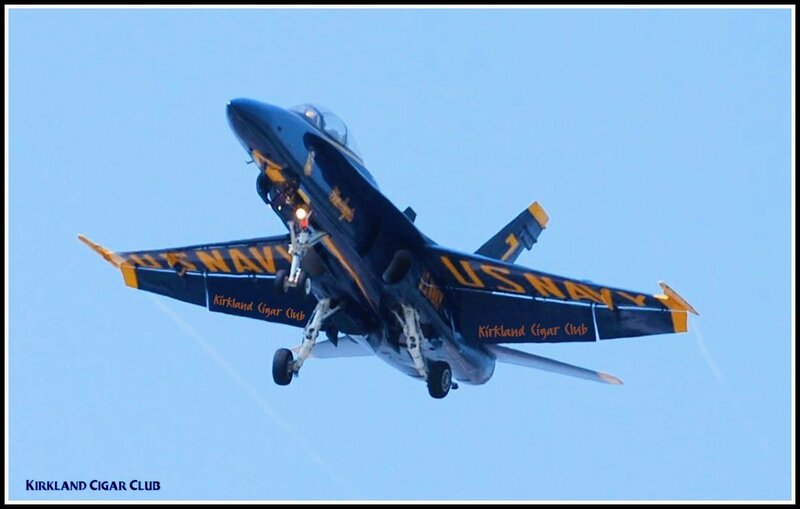 Seafair is this weekend - the Blue Angels will be in town - fun, fun, fun! Another beautiful warm sunny weekend in the Pacific Northwest - temperatures in the mid to upper 80's, light breeze out of the north, could not be more picture-postcard perfect. 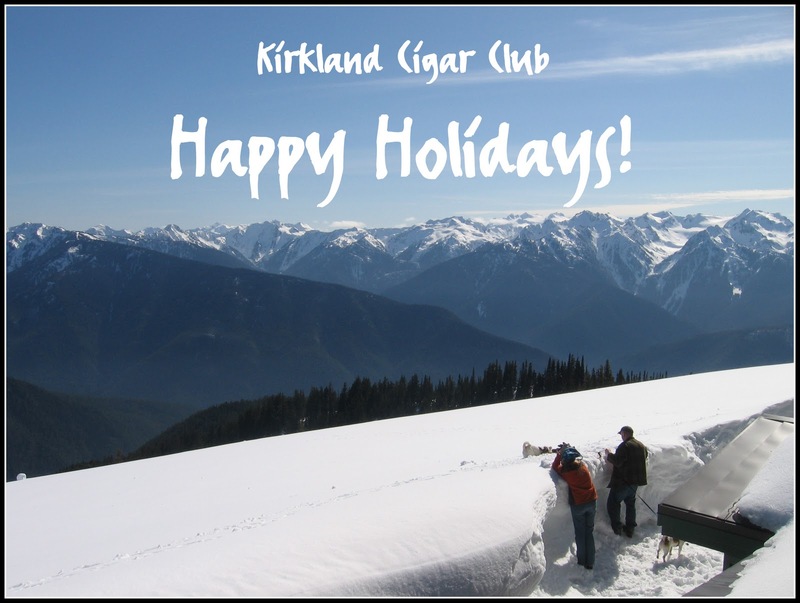 Superb weather for enjoying a fine cigar outdoors! Anyway, Friday night at the Tobacco Patch there was an Oliva Cigar Event. Since Oliva's are one of my top brands, I made it a point stop by. We started off at the Thai restaurant just a couple of doors down (best Thai food in town), then headed over to the Patch. The event was pretty standard as far as discounts go - buy 3 Oliva cigars and get 1 free, and 20% off box purchases of Oliva's. Also, if you bought a box, they throw in an Oliva 6 cigar sampler. So of course I bought a box. I could have bought the same thing online for less, but I like this little shop and the guys that work there treat me very well - that's what it's all about. 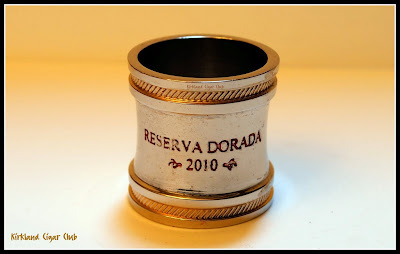 So the box that I bought was the Oliva Serie G Figurados (Cameroon), they come 25 to a box. 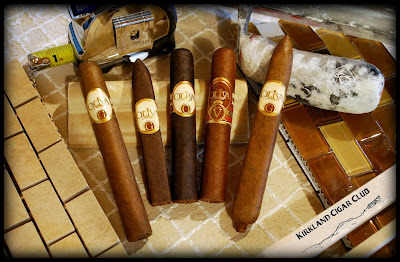 They threw in an Oliva Polo shirt and the 6 cigar sampler box as well. Anyway, since the boxes were sealed and I didn't feel like opening them up at the store, I decided to buy one more single cigar for the evening. I bought an Oliva Serie V, which I've smoked a few times before, in fact I reviewed this variety back in May of 2009. My opinion has not changed at all. 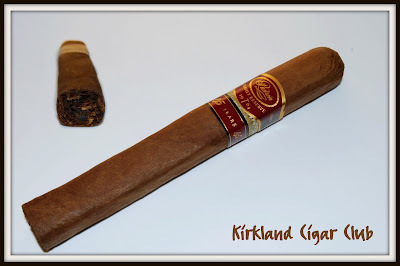 Still one of the best cigars on the market for the price. 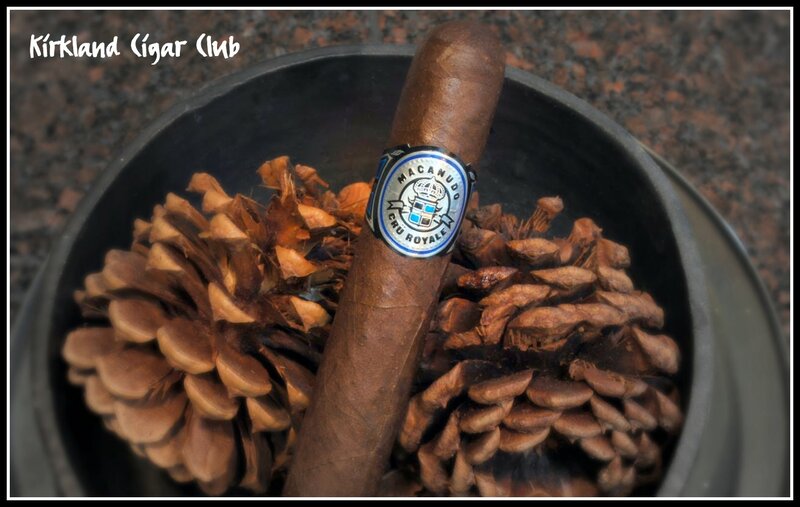 Saturday night I opened the box of Figurados - this is another cigar that I've smoked many, many times before and to this day it is still one of my favorites - Medium bodied, exceptionally smooth, perfect draw and billows of smoke - something about the Cameroon wrapper that I really like! 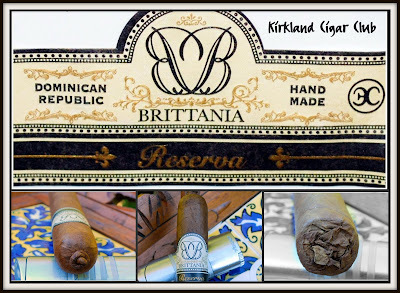 If you like a mild cigar that's smooth as hell, this cigar was built for you. You won't be disappointed, that's for sure! This was really a nice long weekend for me. Sunday night we went to a good friend's house for what turned out to be a phenomenal dinner, and afterwards we sat out on his deck smoking cigars, drinking Courvoisier and watching the sun set over the Olympic Mountains - spectacular view of Lake Washington and the Olympics from his place. Went out to dinner on Friday night over in Houghton - we ate at Shamiana Restaurant. We haven't been there in a while so we thought we'd try it again. Ugh! What a mistake. Both the food and the service were substandard. Sad, because this place used to be so good! Anyway, Friday night we stopped by the Tobacco Patch for a cigar, I bought a J Fuego Natural Belicoso for myself and an Oliva Special for my lovely wife. Lots of people walking around downtown, mainly because of the Kirkland UnCorked Wine Festival that was going on all weekend, but also because the weather was perfect. 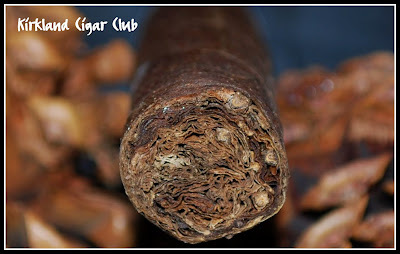 I've got to tell you that I'm starting to like these J Fuego cigars more and more. 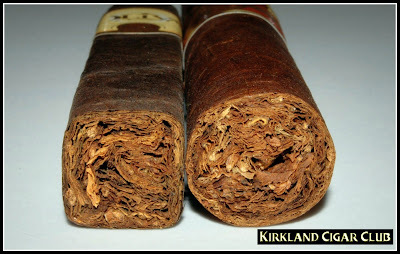 The Natural Belicoso that I smoked on Friday was outstanding. Medium body, perfect draw, smooth taste, basically a cigar for anytime of day. I'm thinking about buying a box or them, or maybe a box of Origens. I'll keep you posted. So after drooling over the cars, we strolled over to the Wine Festival at the marina. The festival is also a Street Fair, so there's lots to look at and plenty to eat, and of course you can sample a boatload of wine. One of the cool things that I saw this year was at the dog trainer booth. You can't believe how well-trained those dogs were, and they were all just your ordinary run-of-the-mill mutts. Definitely want these guys when I get my next dog. So I bought this $20+ cigar last week at the Patch and I've been itching to try it ever since. If you look closely at the label you'll see a little hammer between the 19 and the 64 - kind of cute. Anyway, that all happened a week ago Friday, last week I was on vacation. Couldn't have picked a better week - beautiful warm sunny days, temp in the upper 80's, low 90's, plus I smoked some really good cigars. Surprisingly I liked them all! 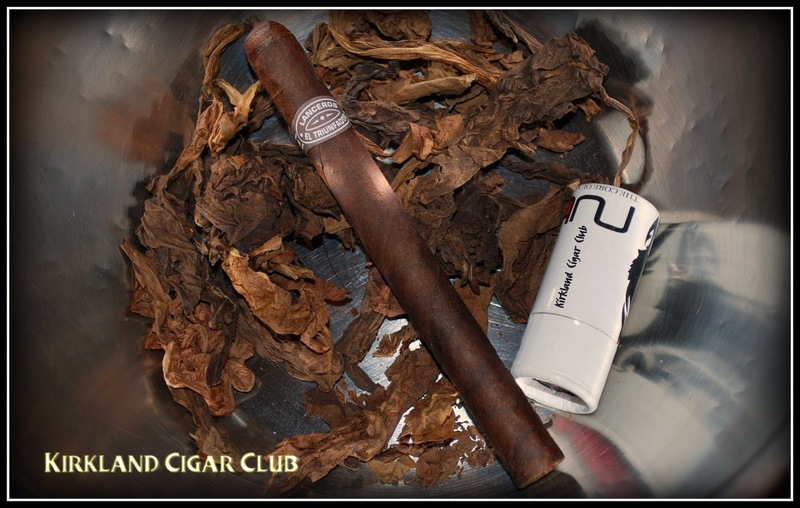 The Camacho Room 101, Nosotros Illusione and the Cabaiguan Maduro stood out the most, really great flavor, but overall there wasn't a bad cigar in the bunch. I love when that happens! Would I buy any of these again? Absolutely! ALL of them! One day last week I took my wife to work, I wanted to take her car up to the Infiniti dealer and have the oil in her FX changed. Since I was on vacation, I had plenty of time to mess around with it. So off to the dealer I go. The Infiniti service department takes good care of their customers. I don't mind waiting while they change the oil - the waiting area has all sorts of little goodies to munch on, plus you can have a cappuccino, mocha, espresso, etc. while watching whatever you like on the big screen TV. BTW, the fresh-baked cookies up there are terribly addicting. So after Bell-Square, I needed to drop my wife's car off at her building. My plan was to leave her car in the building garage and then walk home (only 5 miles), this would be my exercise for the day. Anyway, after I parked the car in the garage, I called my lovely wife and we met up for coffee across the street at one of the local coffee shops. We sat outside in a little courtyard area - I think it was near 90º and we're drinking hot coffee. We're nuts, that's a fact. So after coffee I give my wife a kiss and I'm off on my walk, however I just need to make one stop - the Bellevue Tobacco Patch is only about a block away. As I'm walking up to the Patch, I see an old acquaintance sitting out in front of the store smoking a cigar. I said "hi" and told him that this was my first visit to the new store. He said I'd like it! 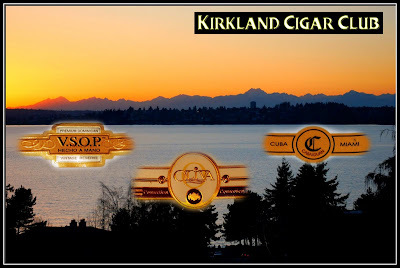 The Bellevue store is a little bigger than Kirkland, maybe not as big of a selection of cigars, but definitely enough room to match whatever Kirkland has. Everything is well-organized, clean and precisely where it should be. The walk-in humidor takes up most of the store, which in my opinion is its most attractive feature. 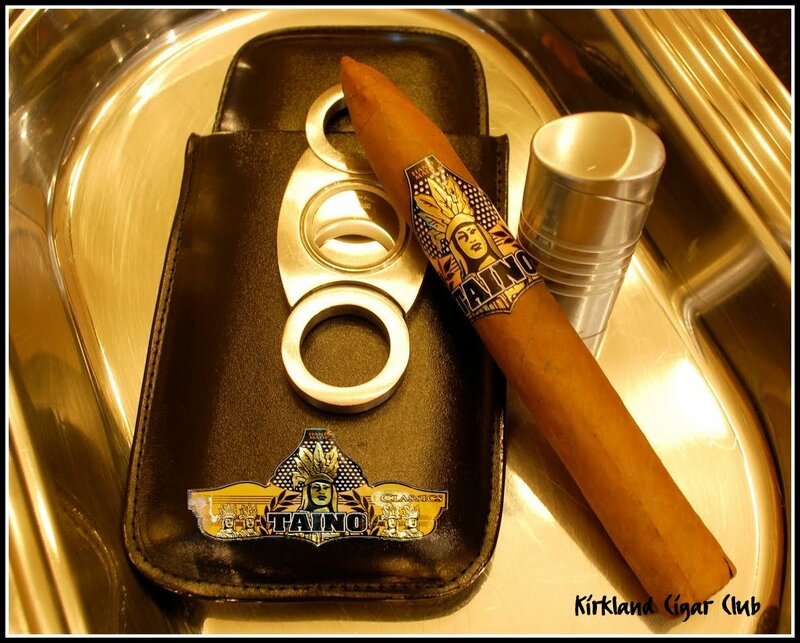 So while I was there I found a cigar that I liked, I place the cigar on the counter and paid for it. The gentleman that works there is super nice, so of course I had to talk cigars with him for a bit. Anyway, I say "good-bye" to my friend and start my afternoon walk in this 90º heat back home. I think I made it about 4 blocks past the Bellevue Post Office on Bellevue Way, which is probably a mile away from the Tobacco Patch, when I discovered that I forgot the cigar on the counter. I double-check my pockets and also the laptop case that I'm carrying - nothing. OH NO! So do I walk all the way back or come back later with my car? Oh what-the-heck, let's walk all the way back - nothing like a 6 mile walk in 90º heat. I'm not complaining though, I'll take the heat over our typical cloudy skies anytime! One other little note - We tried out the new restaurant "Olive You" in downtown Kirkland on Saturday night - EXCELLENT! 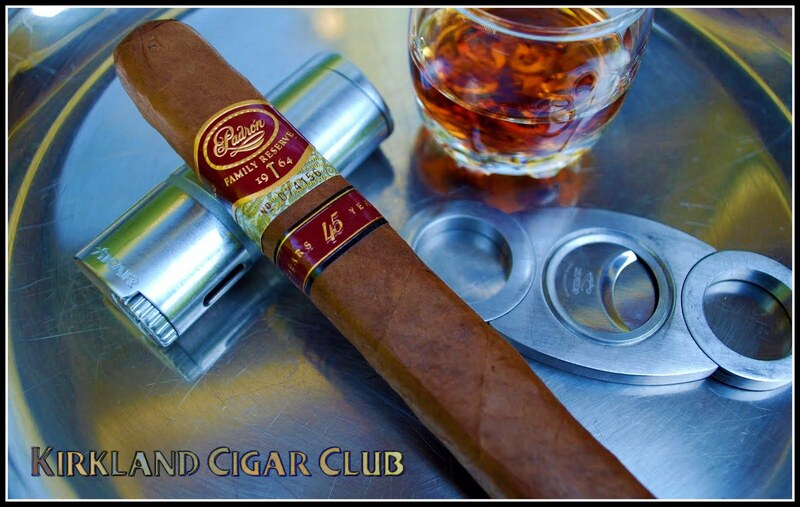 So overall I was pretty busy this weekend, but I did have an opportunity to enjoy all three of the cigars that I bought at J&J Cigars. 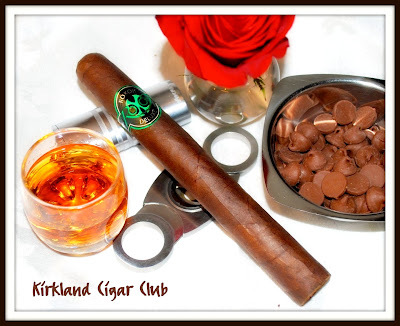 Anyway, Friday night we went downtown Kirkland for coffee and a cigar with the gang. 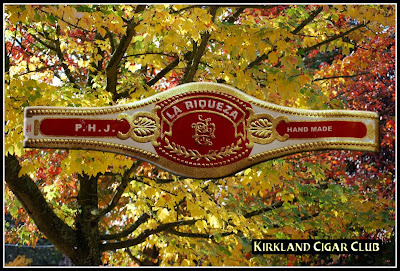 We stopped at Caffe Ladro first, then over to the Tobacco Patch.The Patch is a surprisingly good place to people-watch from - seems like everyone in Kirkland has to pass in front of this store. 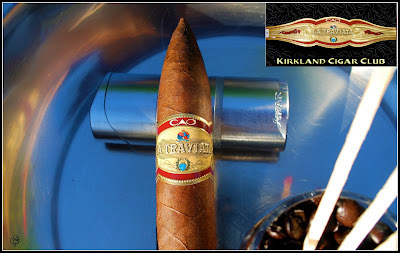 So what did I think of the CAO La Traviata? 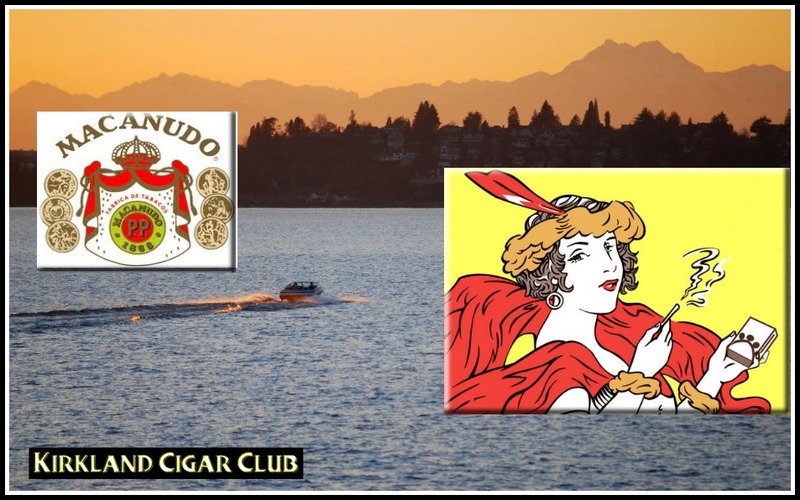 Now here's an interesting note - On Saturday night I smoked an Oliva Serie G Cameroon Churchill, one of my all time favorite cigars, and on Sunday afternoon down at the marina I smoke a J Fuego Origen cigar. 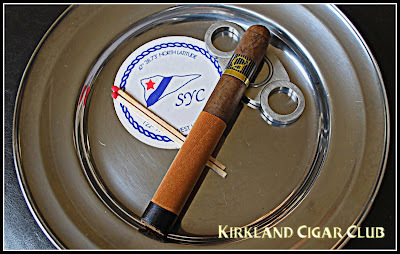 Would you believe that I liked the Origen cigar better? What's wrong with this picture??? 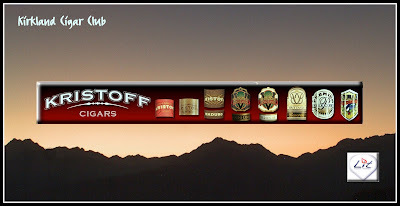 I always thought that I was the perfect poster-child for the Oliva cigars too! Boy, how things change, eh?